This is almost certainly a remaster as well as a reissue. Sound is completely different (and worse) than any original pressing. This is indeed a great version. My original is a bit thin and trebly, this still has that edge but has better depth. Quiet pressing with great definition. And then there are the songs, and the musicianship. Just realised that the tracks are in the wrong order on the rear sleeve. Side One at least. Corrected on the 2017 edition. If only there were more Chris Bellmans out there to cut amazing sounding records like this. Wonderful sounding reissue to my ears of a great album. 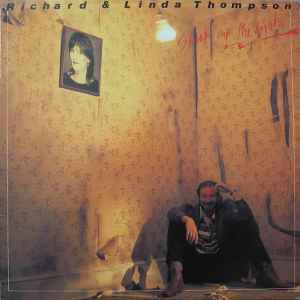 The tension between Richard and Linda here is palpable, driving the music to new emotional heights. If you don't own this already, and can live with a reissue, pick this up before it disappears. My copy has no information on it to say it was released in 1986. My copy has no Barcode.